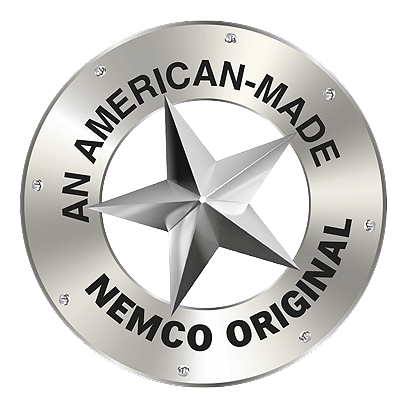 The Nemco 55050AN-P Easy Vegetable Noodler is a food cutter / spiralizer that cuts and curls vegetables into 9/64 inch spaghetti size noodles. The noodler mounts securely on any flat surface for left or right handed operation. Stainless steel blade, sand-cast aluminum construction. 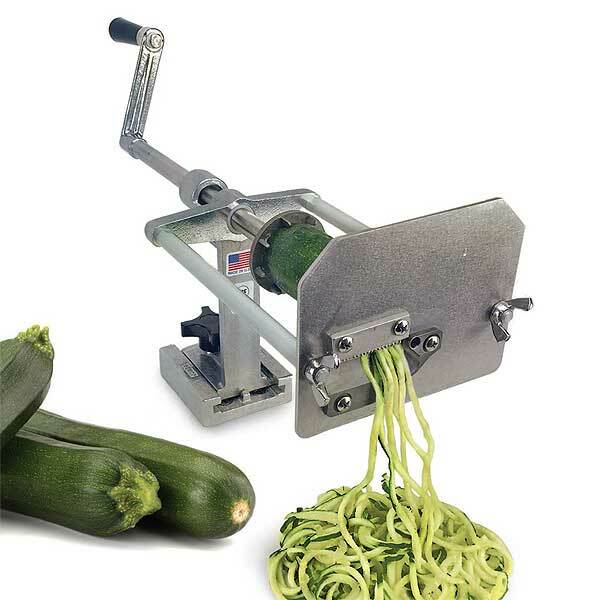 With Nemco's Zucchini Noodle Machine, quickly turn zucchini and other firm veggies into the popular low-carb, high-margin pasta. Simply cut the ends off of a zucchini, summer squash, sweet potato or other similar firm veggie, mount one end on the drive plate and slide the face plate up flush against the other end. Then crank out mounds of noodles, even at high speed, with little to no effort. This is the only NSF-approved, commercial-grade device of its kind designed for the commercial kitchen. NSF listed for commercial use. The Nemco Easy Vegetable Noodler makes spaghetti-like noodles out of zucchini, squash, potatoes, sweet potatoes, daikon, carrots and cucumbers. The gearless crank with ergonomic handle takes almost zero effort to turn, and the sand-cast aluminum construction makes this the toughest zucchini noodler on the market. A high-profit alternative to pasta and a great way to meet the requests of gluten-free customers. For additional reading, check out our blog post about Zuccini Noodles.